Vince slip dress in drapey yarn-dyed plaid. For in-store inquiries, use sku #2207798. 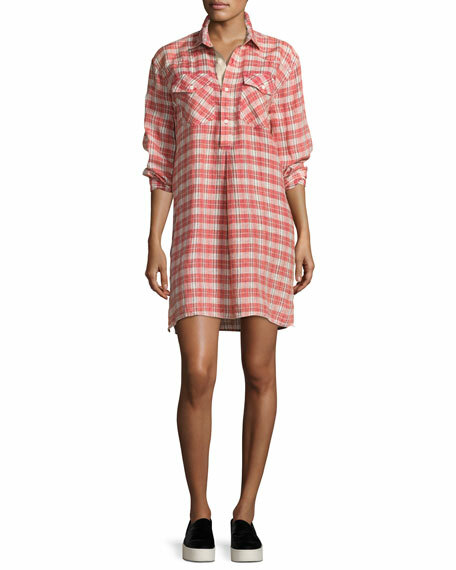 "The Levee Western" shirtdress by Current/Elliott in plaid linen-blend. Spread collar; partial button placket. Long sleeves; button cuffs. Button-flap chest pockets. 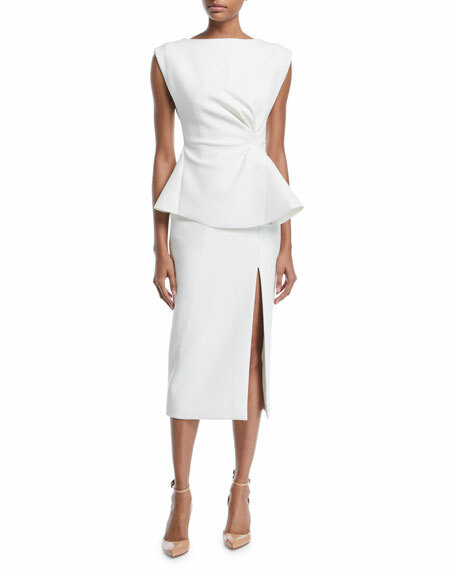 Inverted pleat at front. Shift silhouette. Pullover style. Relaxed fit. Shirttail hem. Linen/cotton. Imported. 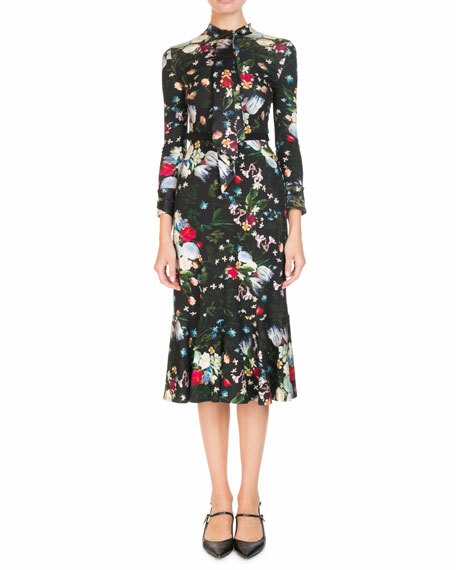 Erdem "Hilma" dress in floral-print jersey. High neckline with ties. Long sleeves. Velvet belt. Slim A-line silhouette. Hidden back zip. Flounce hem. Midi length. Viscose/spandex/silk. Imported of Italian materials. 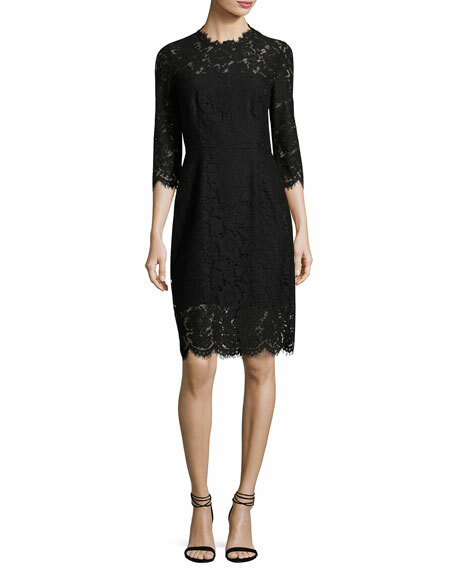 Rachel Zoe "Kyle" lace cocktail dress with an open cutout back. Scalloped jewel neckline. Three-quarter sleeves. Darted at bodice. Nipped at waist. A-line silhouette. Concealed back zip. Scalloped hem. Nylon/viscose. Imported.